Investors are in a solid dilemma today- should they concentrate more on the new trend of crypto exchanges or stick mostly to traditional stock marketplaces like NASDAQ. Well, if you look at the current market and ask the experts, odds seem to be in favor of the crypto exchanges only. Let’s clarify the situation with an example. In the first quarter of this year, NASDAQ and a leading crypto exchange showed similar range of net income. NASDAQ made $209 while the crypto exchange earned something like $200. Now, NASDAQ is a 40+year-old marketplace while the crypto exchange had not even crossed one year by that time. The fun part is despite being a new entrant in the investment ecosystem, the crypto exchange managed to pull in almost the same net income as that of a stock marketplace giant. This one example single-handedly proves the increasing dominance of crypto exchanges over the age-old stock marketplace. One of the main reasons behind the rising popularity of crypto marketplaces over the stock ones is the speedy profit-making potential of the crypto market. Stock investments take time to show profits and you may have to wait for years at times. But the crypto market is extremely volatile. Consequently, crypto traders witness massive price swing over a shorter period of time. And, that leads to higher profit margins in a short span. Then, cryptocurrencies are accepted globally. An investor from the USA can invest in an ICO conducted by an Asian country most of the times. The bottomline is as a crypto investor, you are never limited to the ICOs of your country online. This universal appeal of cryptocoins has made them more of a welcome trend in the global investment ecosystem. And thanks to this global reach in crypto space, asset transfer seems to be faster, easier and more affordable. But you don’t have such facilities with stock marketplaces. Stocks are usually traded in the parent country where they’re actually incorporated. 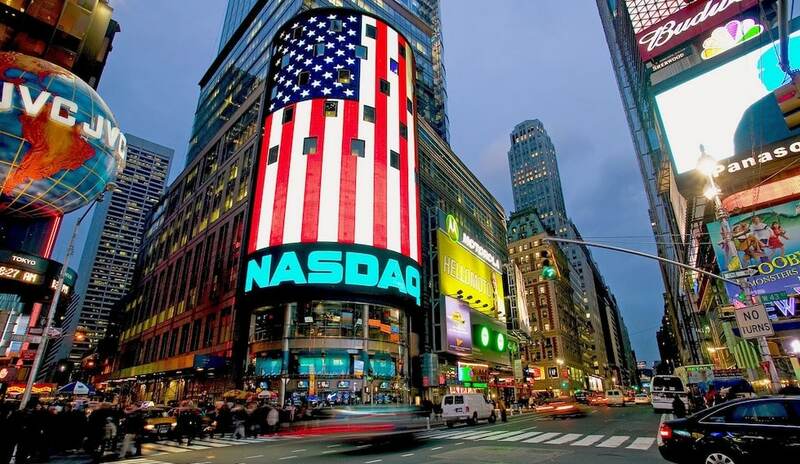 Trade fluidity is another chief reason behind the dominance of crypto exchanges over NASDAQ. Investments in a stock market include taxes, brokerage fees, trading charges and such other fees that eat much of your profit. But with crypto trading, you don’t need a broker to invest in which saves much of your profit for you. Crypto exchanges do charge some degree of commissions but they are lesser than what you have to splurge on stock exchanges. Trade.io is one of the next-gen crypto exchanges which ask for a very minimal trading fee. Moreover, it does not charge any kind of deposit fee and the withdrawal fee is also very nominal. Trade.io has gained wide reputation in the contemporary crypto scene thanks to its revolutionary exchange that ensures easy trading with lightning-fast execution speed, full customizable interface and highly affordable fees.